The German School of Poker is in a league of its own. 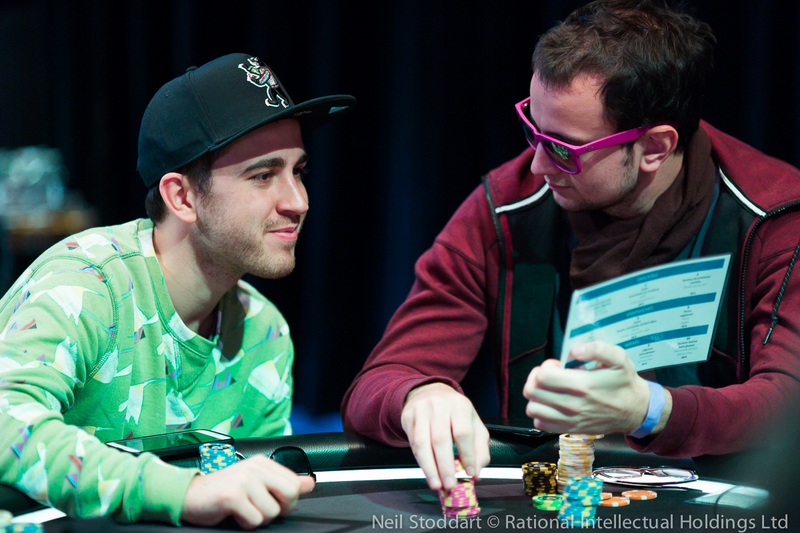 "Ze Germans" are a tight-knit group demolishing the High Roller and Super High Roller events. 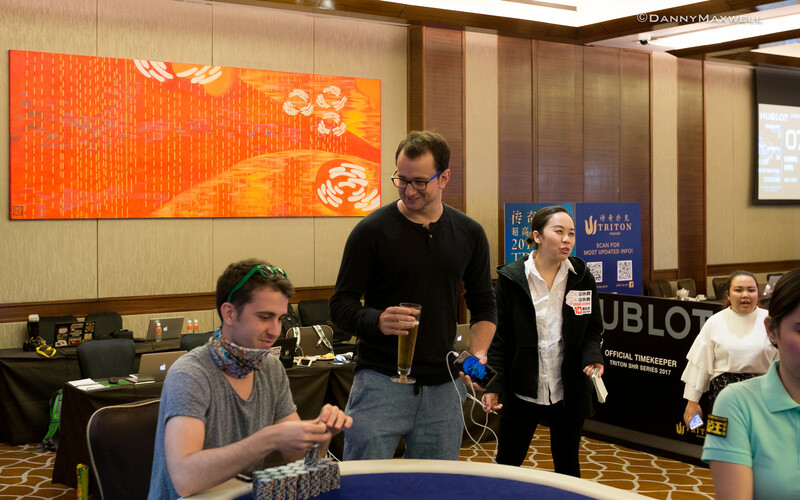 The leader of the pack is without a doubt Fedor Holz, but the group surrounding him battling in these events with the same attitude is massive and impressive. One of them is Koray Aldemir, who usually keeps a low profile. You won’t see him shouting on the table, and no swearing when a bad beat falls on him. Aldemir lets his results speak for themselves; it’s the poker that matters to him. 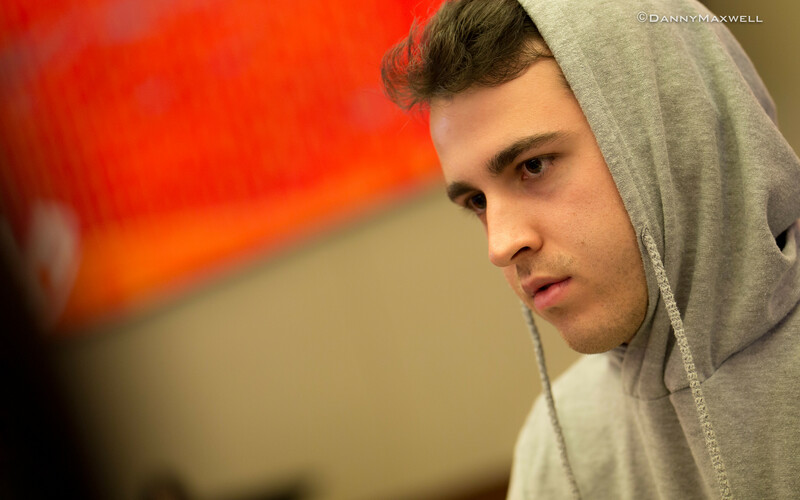 Nonetheless, he sat down with PokerNews to share some of his backstory. The ever-so-quiet Aldemir opens up about his way through the poker stakes. He's certainly one to watch this WSOP, so keep your eyes open for his name in all the big no-limit hold'em events. 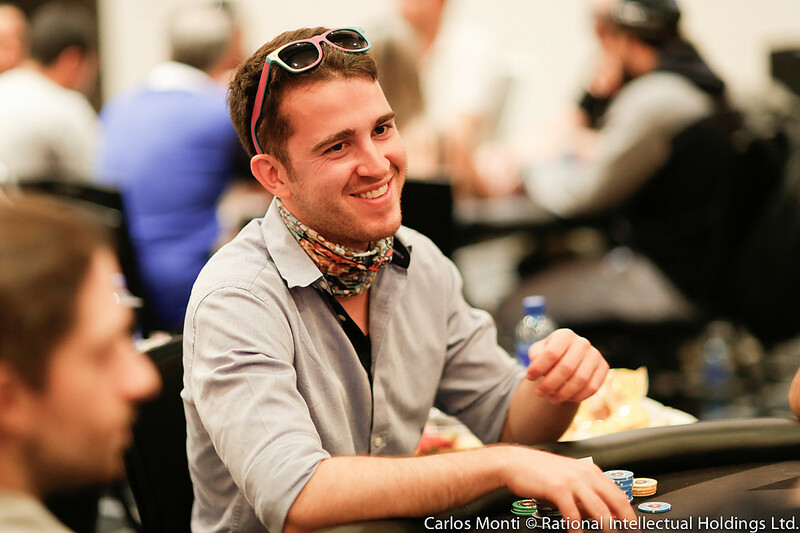 Aldemir, now 26, grew up in Berlin and didn’t come into contact with poker until he was 16 years old. On New Year’s Eve in 2006, he was at a friend’s place when a box of poker chips and cards found their way the table. While Aldemir had no idea about the rules of the game, he still played. The fact they didn’t play for money made that decision a bit easier. As these things sometimes go, Aldemir ended up winning. "I somehow won and that’s probably why I'm still in the game now," he told PokerNews. "I somehow won and that’s probably why I'm still in the game now." That got Aldemir started and he played more and more, but in no way as high or regular as he does now. He didn’t do too well, though. "I wasn’t successful immediately," he said. "I didn’t put that much effort into playing or professionally or anything." Poker was a hobby, not more than that. When he started, he was still in school, so studying was the priority for him. Once he was 18, he created an account online and started playing freerolls. The Hubble Freeroll on PokerStars was where he got things started, playing it regularly. Still, it wasn’t like playing freerolls was giving him loads of money. It was still just a hobby. After finishing high school, Aldemir moved to Cottbus, a small city next to Berlin, to study business administration. "That is when I started playing a little bit more, and I did play some normal buy-in live tournaments as well and I met a couple of guys there. "I think I was winning at the time, so I made some money from it, but not an income or anything like that," he recalls. One of the guys he met at university was a professional poker player. The concept of playing poker for your income was new to Aldemir, but it sparked some interest. He started playing more regularly and started dipping his toes in games with a bit higher buy-in. His first recorded cash in a tournament is from 2012. Aldemir won the €200 Big Stack at Spielbank Berlin beating a field of 63 entries to walk away with €3.375. As a series of €500 events came to town in Berlin in 2012, Koray started selling shares as the buy in was too big to solely play on his own dime. There he came in contact with another player in a similar situation. He too was selling shares for these €500 events because for him too, the buy-in was too high. His name? Rainer Kempe. Koray also met Julian Thomas and Fedor Holz, all of them high rollers these days but playing mid stakes selling shares at the time. "All of us were kind of playing low at the time. So, it’s kind of funny, almost all of us got to be successful." Koray got into poker more and more, allocating more and more time to the game he was getting really fond of. As he was playing a €1,000 live event in Rozvadov with his laptop on his lap, a player approached him and asked him if he could use his laptop for a bit to send someone money. Koray sat next to him as the unknown player used his computer for a minute to send someone around $200. "I didn’t think anything of it until I couldn’t log in the next day." Nothing out of the ordinary happened, till Koray found himself banned the next day. "I didn’t think anything of it until I couldn’t log in the next day. Only a couple of hours later I thought of the guy from the day before. Koray emailed with PokerStars and they asked him about his relationship with the gentleman who had used his computer. Koray didn’t know the player, but PokerStars had their own ideas on the matter and kept his account locked for 4 years. They told him at one point they would reopen him, but in the end, the ban wasn't lifted. "It was super weird. Basically, I exchanged tens of emails with PokerStars support but I wasn’t able to get my account back. There probably was something wrong written in my file or they simply didn’t care for a low stakes player like me at the time." Koray was playing $10 and $20 tournaments online at the time, and Koray thinks that’s the reason the PokerStars support staff never really cared about him not being able to play. He was allowed to cash out his balance, but playing on the world’s biggest poker site was a no no from then on. Eventually, some months ago, Koray got more known in the world of poker and got his account back. Still, he looks back on it in full of indignation. "It was weird and super frustrating. I mean being a poker player, the PokerStars account is essential and I couldn’t play. After I was banned I took a break for a while. Eventually, I started playing on other sites." Soon after, Koray moved to Vienna, Austria. Today, Austria is the gathering place for German poker professionals, but Aldemir moved there for a different reason: to study psychology. With the move to Vienna, Aldemir got more invested in poker. Soon enough, it consumed most of his time and his studies slowly ended up on the back burner. "There was no specific date where I started playing professionally," he said. "I was just studying in university almost every day and just playing on the weekends. At first, I was playing everything, but from my time in Cottbus on when I got serious with the game, I solely played tournaments. And I was beating them so I slowly increased buy-ins." All still low stakes players, he and his friends formed a Skype group to discuss poker and other things. "We were talking about all kinds of stuff," he said. "We were becoming really good friends." "I was like almost every poker player, complaining that I was running bad." One of the players in their group, playing under the screen name "PlayingWasted" won the WCOOP Main Event in 2013. In time, the other members of the group would grow out to be pretty successful in their own right. The fact that they were sharing tactics and strategy greatly improved their odds of becoming successful, but for all of the friends to grow out to be the elite of the poker world was still an unlikely scenario according to Aldemir. "We were playing well and stuff, but the fact that all of us got that successful, I think has to be variance in some way," he said. The fact that Holz got successful a bit earlier might have improved the group as a whole. They could ask him for advice on hands, which got them all more insights. Holz, though, abruptly announced his retirement in the middle of 2016. Meanwhile, Aldemir moved up in stakes. It wasn't however, until last summer that he made a huge jump in buy-in level. "I did start playing EPT Main Events a couple of years ago and I played $1Ks and $2Ks and stuff like that, but I never had any huge success," he said. "I was like almost every poker player, complaining that I was running bad. I had some deep runs, but never anything serious. But last year, that all changed." If you take a look at Aldemir’s list of results over on HendonMob, it’s instantly clear what he’s hinting at. From mostly four-figure and some low five-figure scores, all of a sudden he finished runner-up in the $1,500 Summer Solstice at the World Series of Poker for a massive $252,805 score. "I had some success online and then Las Vegas was really good for me and had lots of deep runs and eventually got heads up against Adrian [Mateos] in the Summer Solstice event," he said. "It was the first really big win for me, basically. It was a kind of tough final table and it was awesome to make heads-up, and I was really lucky and happy. I would have liked to have won the bracelet, but second place was still good." He was about to take the shot of a life time, buying in for the $111,111 High Roller for One Drop. A week later, he finished seventh in a Deep Stack Extravaganza event in The Venetian for another $54,505. That wasn’t the end of it by any means, as he was about to take the shot of a lifetime, buying in for the $111,111 High Roller for One Drop. "It was by far the most expensive event I have ever played," he said. "I had played the WSOP Main Event twice before, but other than that I had only played one or two $10Ks in my life. 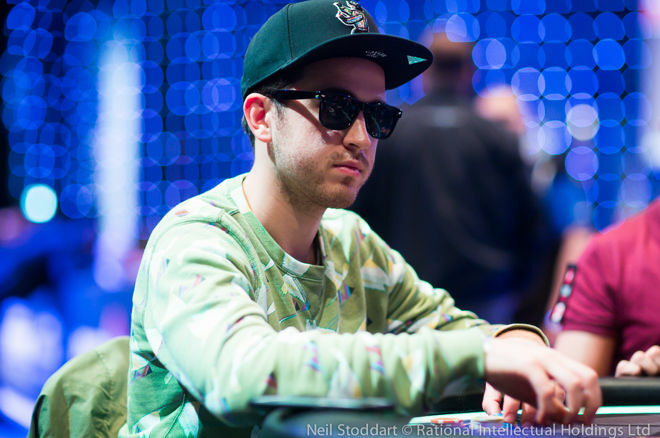 So playing a $100K was kind of crazy, but I was super-confident at the time." It wasn’t just Aldemir himself who was confident in his ability, the tight group of players he was hanging with saw him as a favorite over the field, and together they decided it would be a money-winning move for him to enter. And so he did, buying into an event eleven times bigger than the biggest event he had ever played before that. In fact, the buy-in was bigger than all of his scores outside his Summer Solstice cash. The rest is history, Aldemir ended the first day of play as chip leader and eventually finished third for a massive $2,154,265. His friend and investor Holz won for almost $5,000,000. Aldemir cashed in the Main Event as well (940th for $15,000) and kept on playing lots of poker through August 2016 with EPT Barcelona. "I played so much from like May to August last summer, and after that, I was kind of over it," he said. "I was super successful; it was the most success I ever had. But at the same time, I needed a break." Quitting, or retiring like Holz, wasn’t on his mind though. "No, I didn’t really want to quit," he said. "Having that summer opened some doors for me, some opportunities. I didn’t want to quit, I just wanted to take a break." The break lasted only so long, as he was planning on going full force in 2017. So far, he's been very successful. The still-relatively-quiet Aldemir made a deep run in the Aussie Millions Main Event (10th for $117,061), won the Triton Super High Roller Series in Manila ($1,292,509), and won a $5,000 event at the LAPC for $124,240. In Panama, at the PokerStars Championship, he finished runner-up to Stephen Chidwick in the $25,000 High Roller for $253,340 and finished third in the closing $10K for $44,140. With $4,802,000 in cashes, Aldemir is currently 12th on the German all-time money list. No. 1 on that list, Holz, maintains he's retired from the tournament grind. He still plays occasionally but isn’t doing tournaments back-to-back as he used to. Aldemir isn’t planning on following his example anytime soon. "It’s not something I want to do for my whole life, but I will continue playing poker for a bit," he said. "There's no specific timeline I have set myself. As long as I’m enjoying it, I want to continue doing it. It makes sense for me." To keep his sanity, he’s not just talking poker all the time. When he’s in Berlin, his life isn’t about poker. And when he’s home in Vienna, he has two separate groups of friends. "I have one that plays poker and the other that is from the university," he said. "When I am with my poker friends we talk a lot of poker but also other things. But when I am with the other groups, poker isn’t really the theme at all." A couple of years ago, players from all echelons played the Super High Rollers. Nowadays, it’s a bit more polarized. The rich amateurs who like to play with the big names still play. The other group is the pros with a solid understanding of all the concepts. Playing on a gut feeling isn’t really an option anymore for most, according to Aldemir. "People are just trying to play optimal and are getting better and better at it at the highest level," he said. "I also have the programs on my computer, but talking about hands with friends helps a lot as well." "I can’t deny that I would like to win a bracelet." And even the recreational players aren’t as bad as they used to be. "I think even the businessmen that are playing the high rollers at the moment, none of them are super bad," he added. "Playing against the best players helps them, of course." In the lottery for the Super High Roller Bowl, Aldemir was the last player to get to buy-in into the $300,000 event. It’s going to be the biggest event he ever played, immediately followed by a WSOP grind. After finishing runner-up and taking third in the aforementioned events last year, it isn't hard to guess what's on his mind when it comes to the Series. "I can’t deny that I would like to win a bracelet," he said. After playing a full schedule the last two years, he’s not so sure he’s doing the full stint again this year, though. "I’m not the biggest fan of Las Vegas, I have to say, but the poker in the summer is very good," he said. "After having the super successful summer last year, I am going back. But I might take a week or two off in between. I haven’t decided yet." Is the transition from university student to poker player complete? Not quite. Aldemir maintains that he's still officially a student. But whereas he once had to find out of his studies to play poker, the situation has been reversed. It's going to stay that way in the near future, but Aldemir is leaving the door open to go the route of Holz and walk away at some unspecified time. Just don't expect it to be anytime soon. "I don’t study as much as I used to, so it may take a while before I am done," he said. "But yeah, after poker, I do want to finish my studies and do something else. But, as I said, there's no specific timeline."